There will be a boat parade to mark the centennial anniversary of the Lake Washington Ship Canal and Chittenden Locks on July 9, 2017 from 10 am to noon. "Come celebrate 100 years of operation of the Hiram M. Chittenden Locks (aka the Ballard Locks). Board the VIRGINIA V from South Lake Union and parade to the locks and back with a host of other boats celebrating this event. 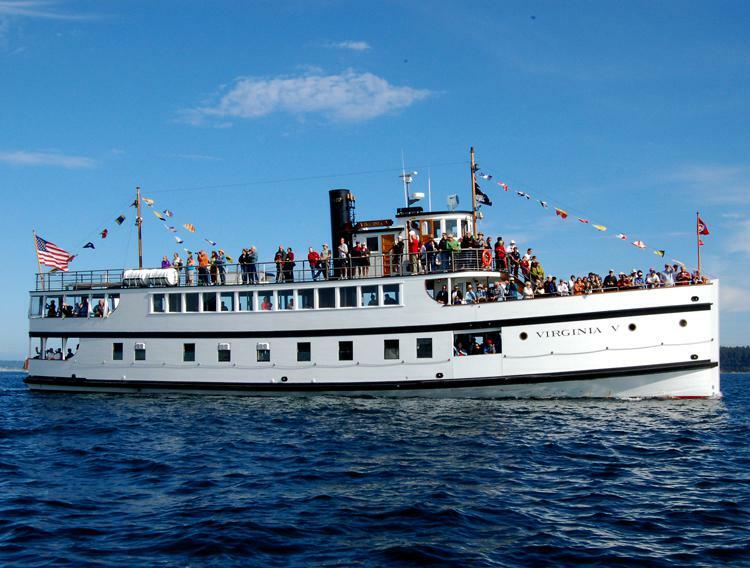 The VIRGINIA V will be the official viewing boat for the parade and will peel off from the group just after the Fremont Bridge. Once docked back at SLU the vessels will parade by our pier! Lunch not provided with ticket price. Guests are welcome to bring their own snacks."